I first printed off these folded multiplication cards for my daughter a few months ago and she really liked using them. She liked the fact that she could test herself and then check her answers (she is wanting more and more learning activities where she can do it all by herself without having to ask for anyone’s help). She has been wanting to work on her times tables so these cards are very popular with her. She has become very determined to learn ALL the times tables so we are just letting her get on with it. And since she is so determined to learn her times table I wanted to try and get some division in. For whatever reason she really enjoys multiplication but is not a fan of division. 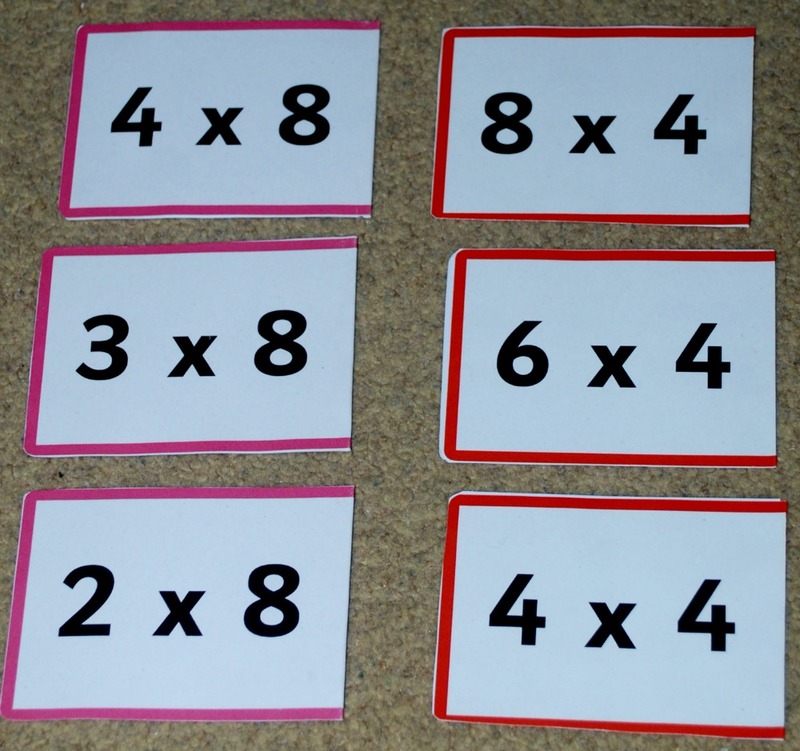 We have done a few activities with her around division and I have a few more already planned but I thought it might be good if we extended her times table cards and included some division cards as well. I really wanted to stress the inverse relationship between multiplication and division so I purposely did not create the cards myself but got her to write out the sums herself. For every division sum she would start with the times table card and then switch the numbers around. So 2 times 2 = 4 becomes 4 divided by 2 = 2 on her division version. We kept the division cards very simple and she just wrote out the sums in coloured pencil. Once we have finished with the 8 times table I know she wants to go onto the 6 and 9 times table so I am hoping when she moves onto those she will continue making her division cards aswell. 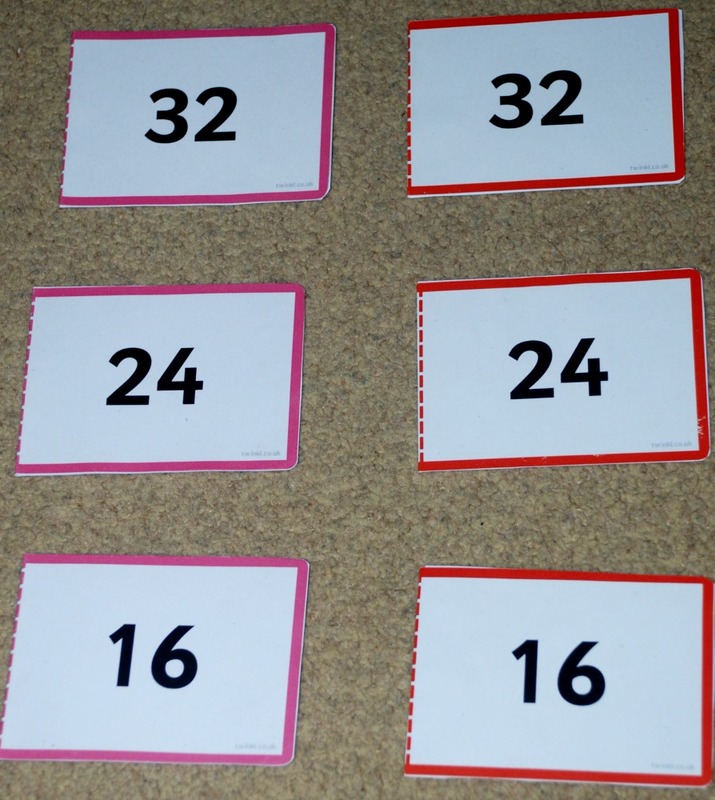 The cards are from the Twinkl website they have them for the full range of times tables – the ones photographed in the post are the 2 times table folding cards, 4 times table folding cards and the 8 times table folding cards (all are part of their paid for platinum package). 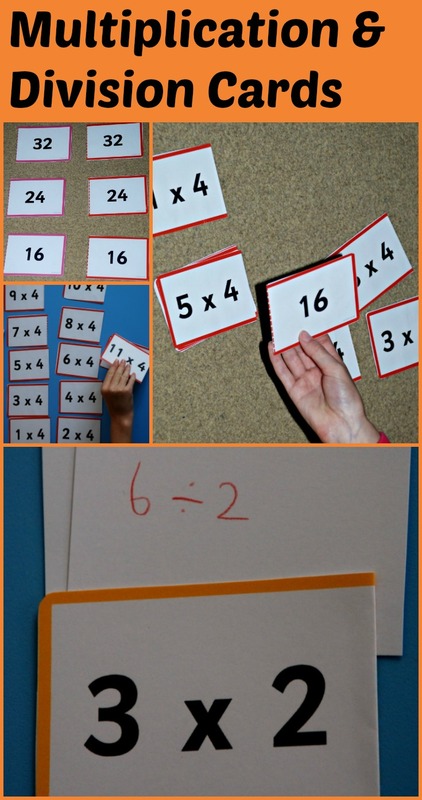 This entry was posted in maths ideas and tagged division, home education, homeschooling, Key Stage 2 Maths, multiplication, Times table, Twinkl. Bookmark the permalink.